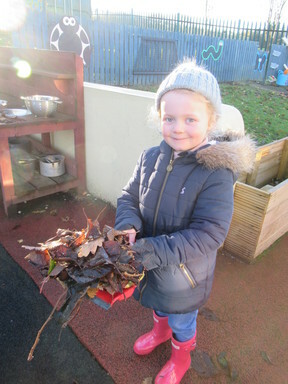 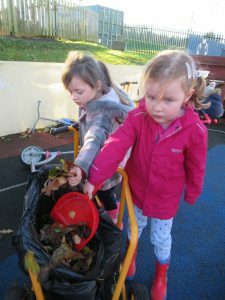 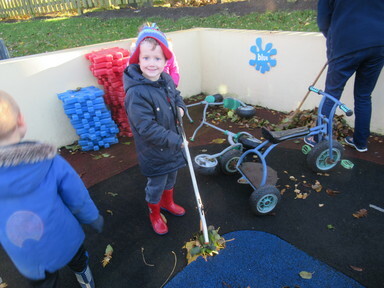 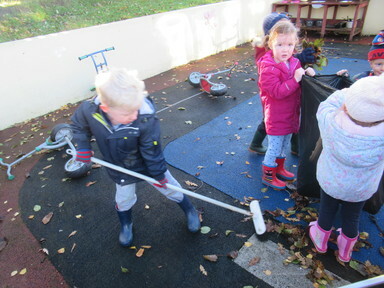 When she heard about all the jobs that Mr Dalgleish has to do to keep Clover Hill clean and tidy, Lois suggested that we could help by sweeping up the leaves this afternoon. 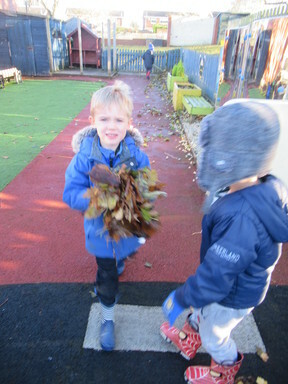 We were dressed up warm ready for Fresh Air Friday so got straight to work. 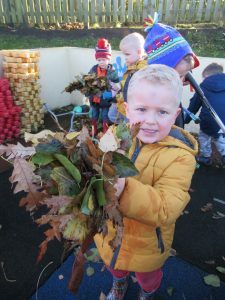 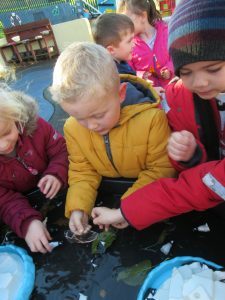 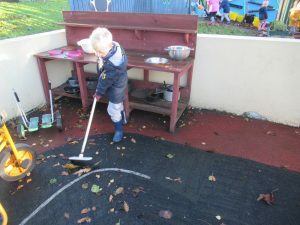 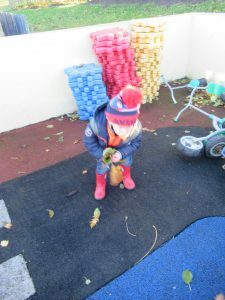 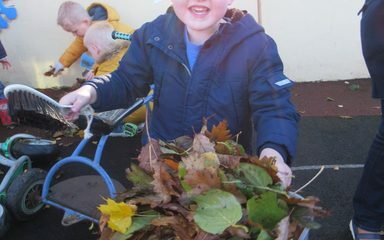 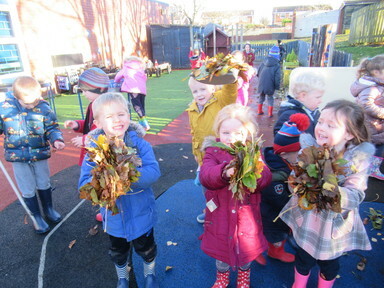 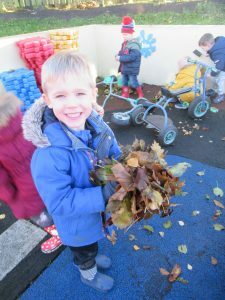 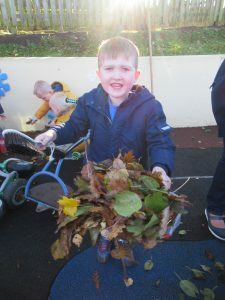 All the teachers in Reception are so proud of the way that our children take responsibility for our learning environment and take pride in its appearance. 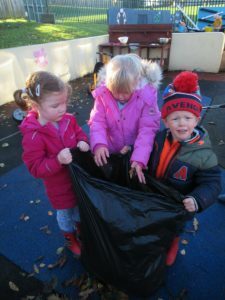 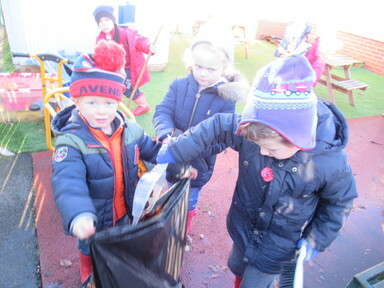 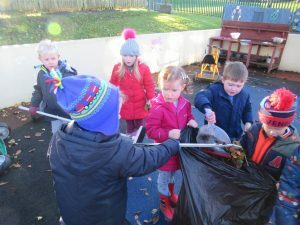 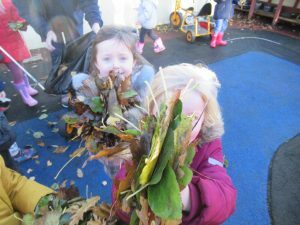 This afternoon, Mrs Farnaby and Mrs Burns saw fantastic team work and co-operation which enabled us to fill three black bags with leaves!